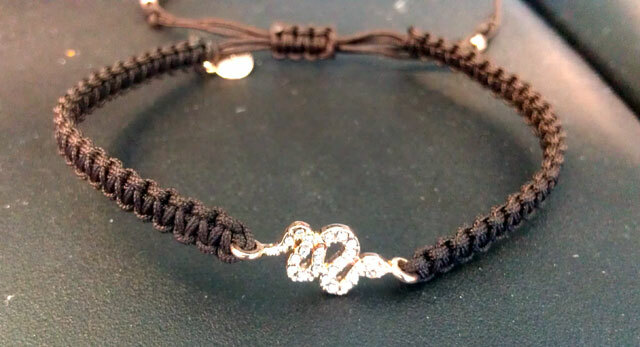 A single rose gold plated brass serpent with Czech crystals in the center of a hand woven nylon cord. They fail to mention that the hand woven cord is woven in the same way survivalists weave parachute cord. This technique is called Cobra Braid or Cobra Knot. The Cobra Braid takes cord such as parachute chord and weaves it into a compact and manageable length. The rule of thumb is every inch of cobra braid equals about 1.5 feet of cord. Not that I plan on adding this bracelet to my survival kit but I think it’s a nice piece to show the outdoor/survivalist in you. Stella and Dot, an Inc. 500 Fastest-Growing Company, is a San Francisco based social selling company that creates flexible entrepreneurial opportunities for women. Their boutique-style jewelry and accessories line is available exclusively through in-home Trunk Shows by Independent Stylists and online. This is really nice. You know you could put this in a survival kit for those who like to survive in style. But, nice piece though. How do you purchase this bracelet? Hi Casey, it looks like Stella & Dot online no longer sell this bracelet. I’ll check my contacts to see if they have any in stock.